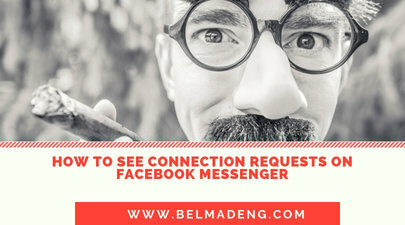 How to See Connection Requests on Facebook Messenger: Here's an article that explains how to view connection requests on Messenger. In this post, you will see how you can view how you can check your message requests in Messenger. According to the Messenger Support Center, if someone who you're not connected with on Facebook sends you a message, you'll receive a connection request. Read: Can I follow someone on Facebook again that I've Unfollowed? 1. From Home, tap People. 2. Tap Message Requests at the top.